Tonight, Colony Woodstock continues their mind blowing run of incredibly amazingly great musical events, with what I’m calling the musical event of the year! 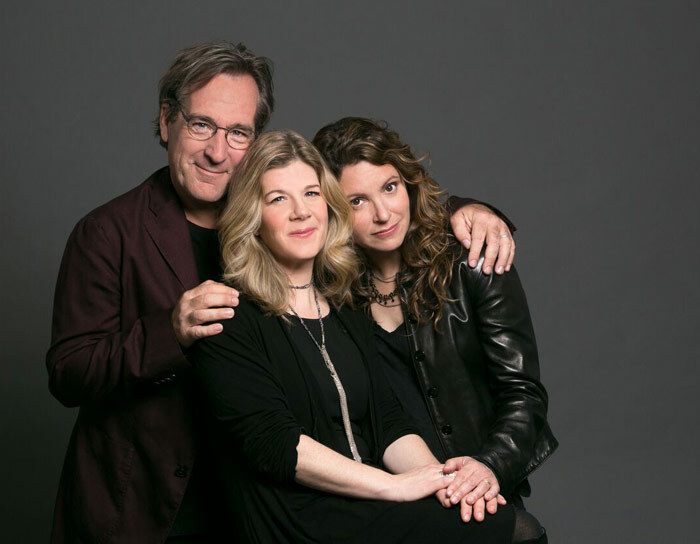 Not content to rest on their laurels after last month’s fantastic Robert Gordon show, and this week’s Joni Mitchell tribute, Larry and Teresa Campbell concert, and the immortal Darlene Love, they’re following all that with a pretty unheard of bill of four acts, any of whom could headline alone, all together on the same night!!!! 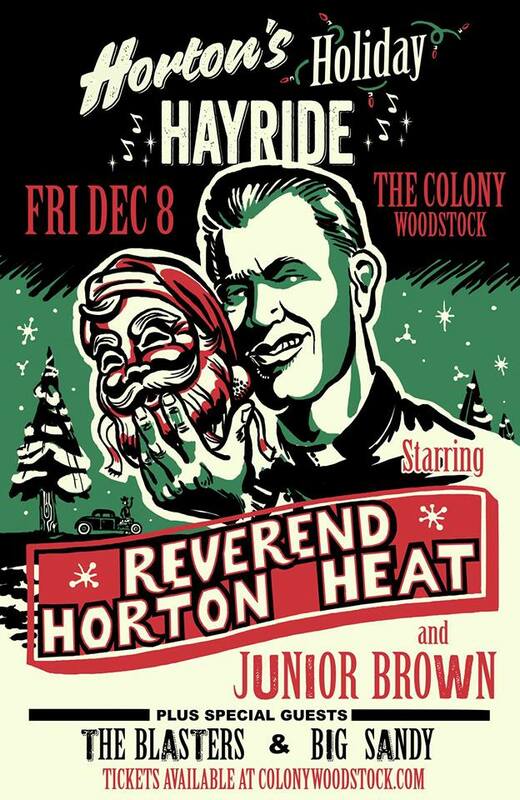 Billed as Horton’s Holiday Hayride w/ the Reverend Horton Heat and Junior Brown, featuring The Blasters and Big Sandy, tonight’s extravaganza is, I believe, an early start, at 7pm, with doors at 6, so get out there early cause you don’t wanna miss a beat of any of these artists! All proceeds go to Hudson Valley Honor Flights and Newburgh SCATS Animal Rescue. It was 50 years ago, in 1967, that my band, the Jelly Bean Bandits got together. I wanted to do something special for the half-century mark, but our frontman Billy Donald had passed on several years ago, our drummer Joe Scalfari broke his back in a hunting accident and our guitarist Jack Dougherty lives in Florida. Talking with our bassist Fred Buck I realized that there were many bands in this situation, with just a few members remaining, and I thought wouldn't it be cool if we could get them together for one night, like a rock and roll class reunion. 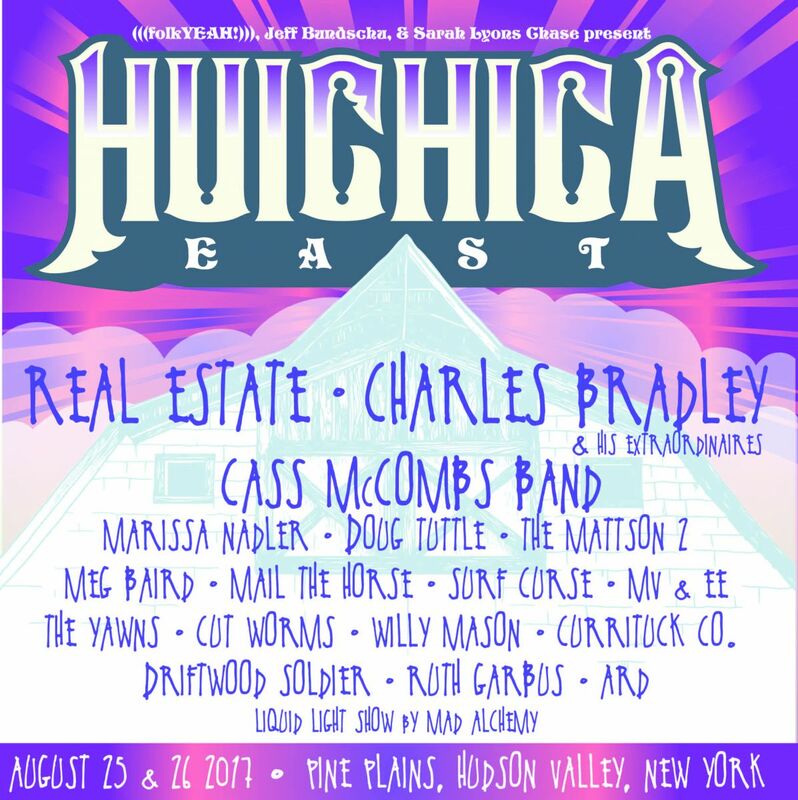 That is how the Hudson Valley Musicians Reunion came together. The Colony has long been a fixture on the Woodstock music scene, but for some reason, never really seemed to occupy the limelight the way many people felt it could, and should. I recently had the opportunity for my first visit to the newly redesigned and refurbished Colony Woodstock, and, IMHO, the venue has finally realized its full potential! New owner, Neil Howard, has spared no expense in reshaping the place in his own image. The stage has been moved to, IMO, a better spot, the sound and lights are terrific, and, most importantly, the bookings are out of this world, which is the main reason why I’ve been driven to write this blog at this time. Colony Woodstock is about to embark on a truly impressive run of shows that should interest anyone who studies good music, with a major in Rock n Roll! Dancers, and the Big Takeover Reggae Band.